People across the country are cutting space and joining the tiny house movement! With such a limited area, tiny house heating and cooling isn’t the same as HVAC for traditional homes. Planning tiny house HVAC requires new considerations – follow these tiny house heating and cooling tips to keep your small space comfortable throughout every season. Heating and cooling your tiny home doesn’t have to eat up valuable space in your already limited area. 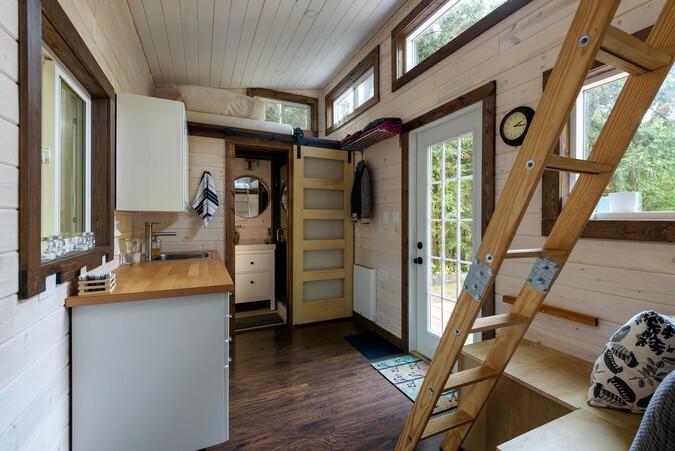 The right solutions are perfect for the less-is-more lifestyle tiny home inhabitants enjoy! The first consideration in tiny house HVAC is ductwork – does your tiny house have the space to accommodate a duct system? You may trade traditional full-size ductwork for the smaller ducting that mobile homes use. This delivers a space savings, as these smaller ducts are designed to require a smaller footprint. If your tiny home is equipped with smaller mobile home ducts, you’ll need a furnace that is approved for use with this type of duct system. Many models are available in natural gas or electric heat to suit your needs. Your furnace will require indoor space for installation, so consider if there is enough space to accommodate a furnace and the required clearances in your area when you explore this tiny house HVAC option. No ducts? No problem! A mini split heating and air conditioning system is a perfect solution for year-round tiny home heating and cooling. 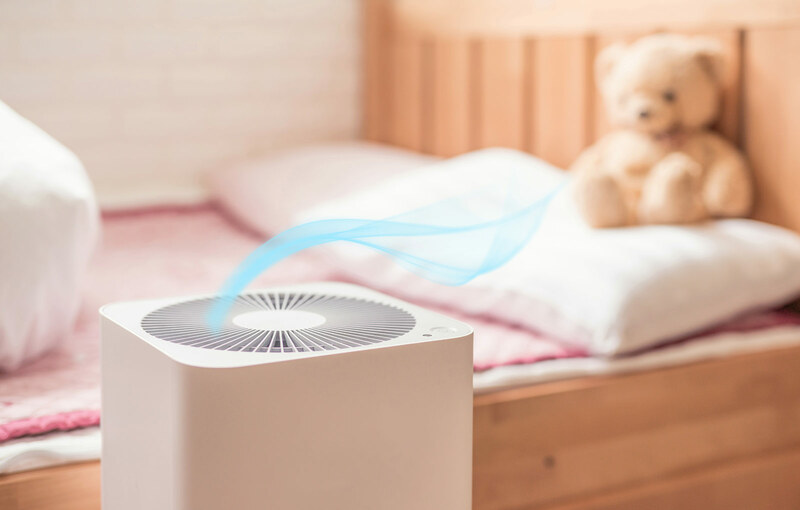 Mini splits use a small air handling unit that is mounted on the wall or ceiling, and they are connected to an exterior heat pump. More than one indoor unit can be installed, depending on the size of your tiny home and the areas you require heating and cooling. Ductless mini splits are a great solution for tiny home heating and cooling, but for this to work, your tiny home must remain stationary. Many tiny homes are built atop trailers so owners can travel with them – this may not provide space for a safe installation of outside ductless mini split components. Portable heaters and air conditioners are another option available for tiny house HVAC. Select a heating or cooling unit rated for your square footage to provide adequate heating and cooling when you need it. Portable heaters can be extremely small, with portable air conditioning units being a little bigger. Window air conditioners are another option for tiny home cooling that can save floor space, but they do need to be removed and stored after cooling season. The challenge in a tiny home is storing these units between seasonal usage. When using portable heating and cooling units, safety is a must. Portable heaters require at least three feet of open space around it for safe operation. In a tiny home where floor space is restricted, you may not have an area suitable for operating a portable heater. Ready to implement tiny house HVAC solutions for your space? Find an HVAC contractor who knows tiny house heating and cooling through our HVAC Contractor Directory. Just enter your ZIP code and you’ll find a comprehensive list of tiny house HVAC companies near you who have the solutions you need for heating and cooling your small space.